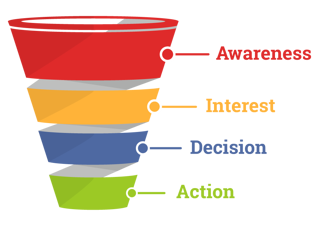 The Nonprofit Sales Funnel: How the Retention Stage Can Help Maximize Your Efforts. Most non-profits we talk with do not have a sales team, they have a donor team, Executive Directors, Program Coordinators and just employees who love the mission. But guess what- you are all SELLING! Whether you are trying to get donations, new advocates or more attendees at your events- you are ultimately selling your mission! Having a proper sales funnel will make this task much easier to manage and enable a successful process for your team. Most commonly, you will see a 4 part sales funnel shaped like this here pizza slice. What this funnel is missing is KEY for the success of a nonprofit: RETENTION. The goal of retention marketing is to increase revenue through your satisfied customers. In other words, you’re maximizing the lifetime value of your customers (typically abbreviated as LTV or CLV).Why does this matter? Because loyal customers have been shown to be worth as much as 10x more than their first purchase and account for 80% of a company’s revenue. Now - I know you are cringing at the words "customers and revenue" here- but this great piece builds strong points that you can bring into your mission driven organizations. What I hear all the time from Executive Directors is the desire to get multiple donations from single donors. Good retention email campagin's is one way to target these individual donors and help grow the funds you need to do your amazing work! For more ways to grown retention read here. The hourglass funnel has the added benefit of showing that the crucial final step, customer retention, is actually an area for growth as opposed to diminishing value over time. By expanding back outwards, this model demonstrates that a healthy customer satisfaction and loyalty effort will grow your business, as satisfied customers evangelize your business and return for more services. 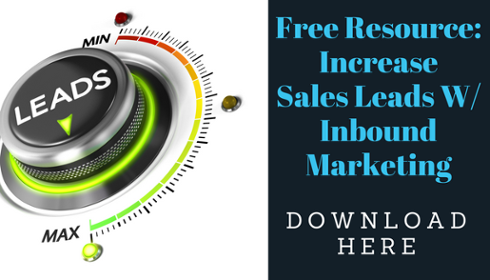 New customers are then persuaded by referrals, and the whole process starts over. Now as you go forth and concur your new retention marketing campaign's - leave the pizza slice for lunch! And if you need a hand in content or campaign mangement we've got your back.